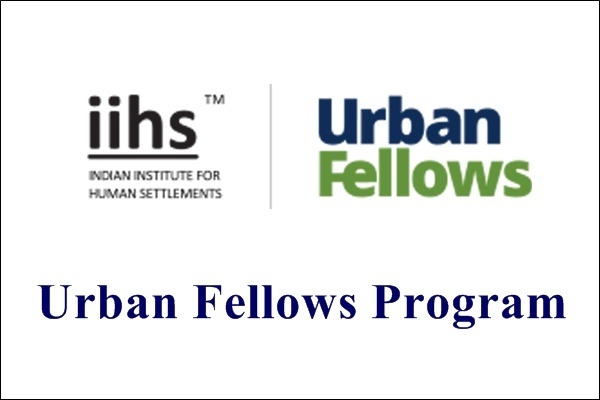 Indian Institute for Human Settlements (IIHS), Bangalore offers Urban Fellows Program for Graduates and Young Professionals from varied educational backgrounds or practice domains. The UFP is a tuition-free, nine-month, full-time, inter-disciplinary fellowship based at the IIHS City Campus in Bengaluru. It seeks to combine classroom-based teaching, site-based applied learning, work in live projects, and external internships to introduce the Fellows to diverse forms of urban practice. IIHS, Bangalore strongly encourage applications from women, people with disabilities, and those from economically and socially excluded communities. The UFP is a scholarship-based ten month, full-time, inter-disciplinary and residential fellowship that will be delivered through 8 months of in- class teaching at the IIHS City Campus in Bengaluru, followed by 2 months of internship placements in locations where your particular internship organisation is located. Tuition fee for the UFP 2019-20 costs is Rs 1.25 lacs for the entire programme, payable in three installments over the year. There is a 10% discount for those making a single payment at the beginning of the programme. This fee includes all costs of travel for the UFP on exposure visits as well as expenditure on local and inter-city travel for UFP practica and applied projects. Accommodation, room and board for the programme are free and available to all candidates who receive admission. For the eight month in-class teaching period, this includes housing, all meals, internet access, housekeeping services and laundry facilities. A detailed list of services available at the shared accommodation, as well as terms of residency, will be provided to all candidates who clear the first stage of the application process and are called in for interviews. The UFP will not cover any other costs beyond those listed above. The costs that will not be covered include commuting costs to and back from the campus, other incidental costs such as dining out, additional purchases, etc. The UFP is committed to providing scholarships to all candidates that receive admission, who are unable to pay the programme tuition, after a review of their financial needs. The programme is thus need- blind. Your selection and admission into the programme will not be affected by your ability to pay. In addition to scholarships that cover tuition fees, there are a limited number of stipends available to cover daily living expenses for candidates with significant financial need. Applicants wishing to be considered for this will have a chance to indicate so in the admission forms. Please note that all admitted Fellows will be asked to submit a Rs 20,000 deposit to secure their admission. This will be refunded upon successful completion of the Fellowship. Applicants in financial need may request a waiver of the deposit to be considered on a case by case basis at the time of admission to the UFP. Candidates who have non-degree training and have undertaken certification programmes after their 10+2 schooling. Candidates who do not have formal education after their 10+2, but have experience of formal or informal work in urban sectors. Step 1: Review of applications by the Admissions Committee. Step 4: Successful candidates will receive an offer to become a Fellow Batch of current year. Step 5: Fellows have to accept the offer and pay the deposit amount within a week of the offer. The online application form has four sections. ii)Audio-visual material or other material of your own making that complements your application can be uploaded or sent in. iii)Any other information you would like to provide (up to 200 words). iv)A Sample of Work: One sample of academic or professional work that best describes your capabilities and interests. The sample may take any form: e.g. text, plans, portfolios, audio files and visual media. The sample of work should preferably be your individual effort. In case you include a work representing team effort, please specify details of your particular contribution and role. To apply by post, mail your application to "The Admissions Committee, IIHS Bangalore City Campus, No. 197/36, 2nd Main Road, Sadashivanagar, Bangalore-560080"